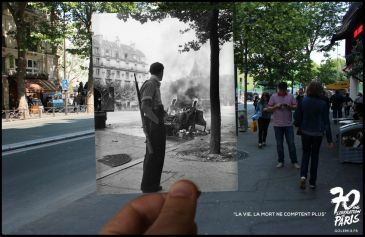 Past-present images to celebrate 70 years liberation of Paris during WWII. 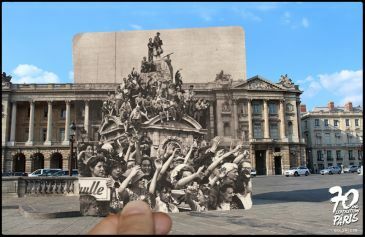 French photographer, Julien Knez, created a combination set of images by compare image from war-time and nowadays. 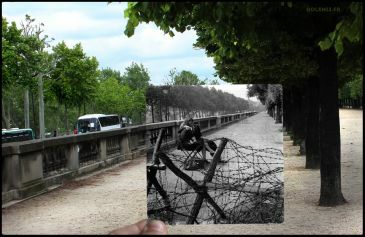 She searched Paris image that captured during the World War II and combined them with the same view of present Paris in order to recall the liberation of Paris after the city became a battle field during 1940-1944. Julien had searched 50 images from library. She also brought some images from e-bay. 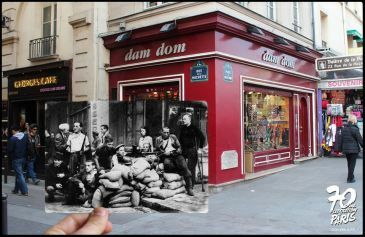 Images of the past were taken by both anonymous photographers and famous photographers, for instance, Robert Doisneau, Henri Cartier-Bresson, Roger-Viollet and Robert Capa. Each image she had selected present how people lived during the war, how they fought against Nazi and also present damage in the city. 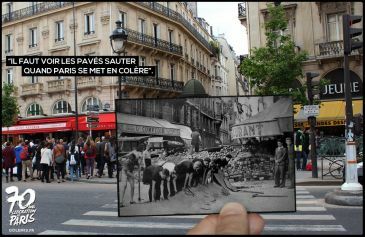 She compared the past and the present of Paris in exactly the same view and perspective to show how the same location could be different between these two times.